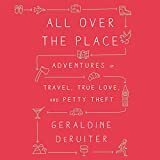 about this book: After the collapse of a 3o year marriage and with the market in a nose dive, this brave woman chucks it all and moves to France. She arrives in Nice prepared to stay only six months but Paris takes her prisoner. She enrolls at the Sorbonne to learn the language, is embraced by influential people and is befriended by the family of Yves St Laurent. After a serendipitous phone call and a chance meeting with an American businessman, her life enfolds beyond her wildest dreams. She delves into her past to find her tomorrow. A story of friendship. Betrayal and discovery of self. 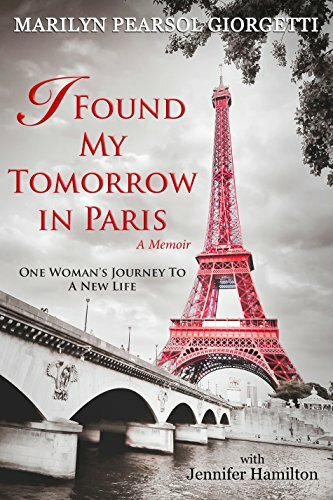 This book is an inspiration for all women who feel they are at a dead end. • Wonderful read. I couldn't put it down. I loved Marilyn's writing and how it really moves along and keeps you so engaged and wanting to see what happens next. It truly was an amazing journey and she captured it well…a brave woman facing down fears and disappointments of the past and embracing all life could be…sprawling yet intimate….M.E.